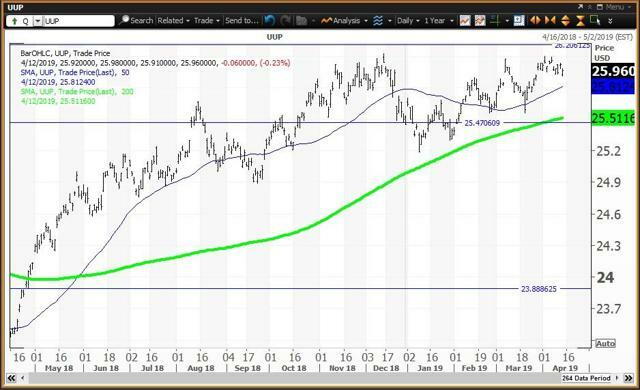 The commodities ETF is above its 200-day SMA at $16.36 with its quarterly risky level at $17.13. The long dollar ETF continues to trade between its annual pivot at $25.47 and its semiannual risky level at $26.39. The gold ETF ($121.83 on April 12) is up 0.5% so far in 2019 and is 9.7% above its Aug. 15 low of $111.06. 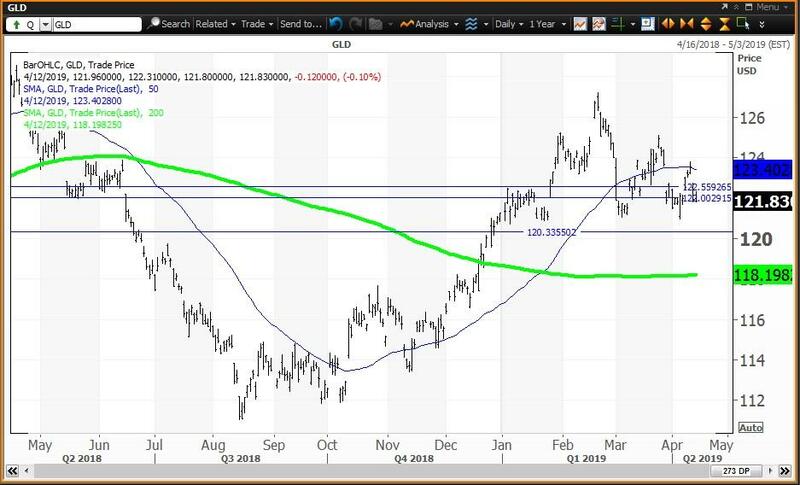 GLD is trading between its 200-day simple moving average at $118.20 and its 50-day simple moving average at $123.40. Beware that the weekly chart is negative with the “reversion to the mean” at $118.26. The commodities ETF ($16.62 on April 12) is up 18.5% so far in 2019 and up 23.1% since its Dec. 26 low of $13.50 thanks mainly to the strength in Nymex crude oil. This ETF is down 11.6% from its Oct. 3 high of $18.81. 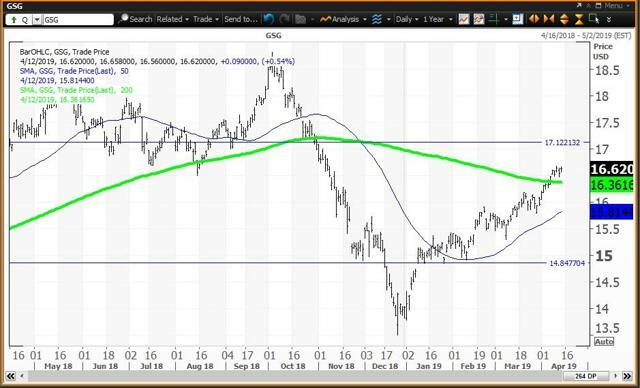 GSG is now above its 200-day simple moving average at $16.36 which targets its quarterly risky level at $17.13. The dollar ETF ($25.96 on April 12) is up 2.0% so far in 2019 and up 12.3% since trading as low as $23.12 in early 2018. UUP is above its 50-day and 200-day simple moving averages at $25.81 and $25.51, respectively. The weekly chart is positive but overbought with its “reversion to the mean” at $25.04.